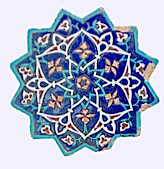 Since 1967, the American Institute of Iranian Studies has been the sole organization dedicated to the advancement of Iranian Studies in the U.S. through the support of academic exchange between the U.S. and Iran. As a not-for-profit institution, AIIrS relies on the generosity of foundations, charitable organizations and individuals to sustain its programs and operations. Please consider supporting the endeavor through a donation. AIIrS is a 501(c)(3) tax-exempt public charity. Donations are tax-deductible to the fullest extent allowable under the law. For more information, contact AIIrS.